Contrast is one of my favorite ways to bring something to life, and this tiramisu recipe is the perfect example of that. Real deal tiramisu can be complicated and take forever, but my quick and easy version tastes seriously close to the original without all the fuss. So when you put such an esteemed food in a jar, the contrast of the dressed down container and the upscale dessert is pretty much perfection in my book. 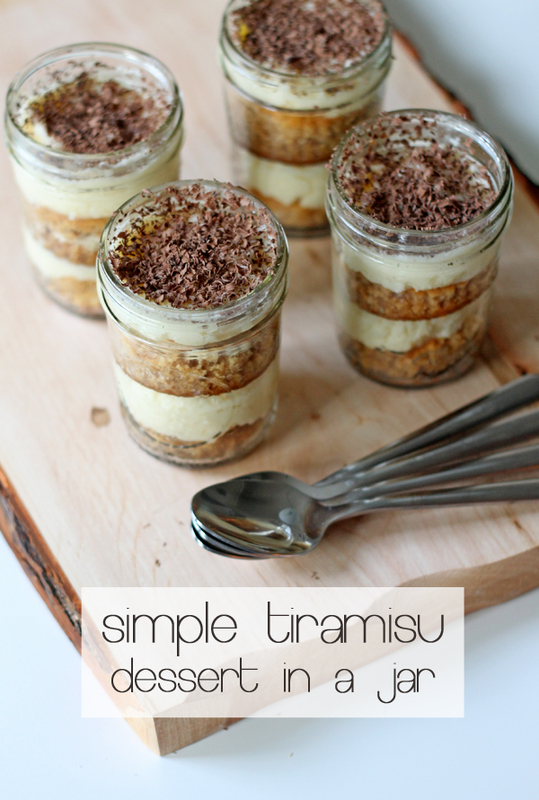 If you love tiramisu but the thought of making it scares you, then this recipe is for you! 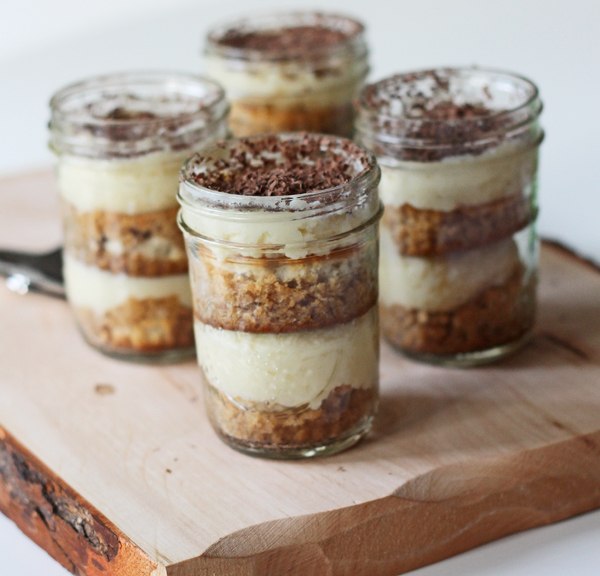 Recipe makes 12 Tiramisu in pint size jars. Preheat oven to 350 degrees (or temp on box) and make the box cake mix according to the directions. Spread mixture onto a sheet pan and bake for 25-30 minutes, until edges are lightly golden. Once the cake is cooled completely, take a small round cutter and a slightly larger round cutter and cut out pieces (just check your jar to make sure the pieces will fit into it – the one on bottom will be smaller than the top piece.) You’ll need two pieces per jar – so 12 large and 12 small pieces. Put on another baking sheet and put them back in the oven for 12-15 minutes until somewhat dried out, the tops will be golden brown. Remove and completely cool. With an electric or stand mixer, mix together the mascarpone, confectioners sugar, and vanilla until completely combined. In a separate small bowl, mix together the brewed coffee and Kahlua. Starting with the small cake round, dip the cake into the coffee mixture, going just barely to the top of the round, then put it in the bottom of the jar. Spoon in some of the mascarpone mixture, then dip the larger round in coffee mixture, put it on top, top it with another layer of mascarpone mixture, then grate the chocolate on top. These are so simple to make and are perfect to make the day before your event and let sit – because they only get better as the flavors blend together. And you don’t have to tell your guests how easy it is to make this tiramisu – it’ll be our little secret! 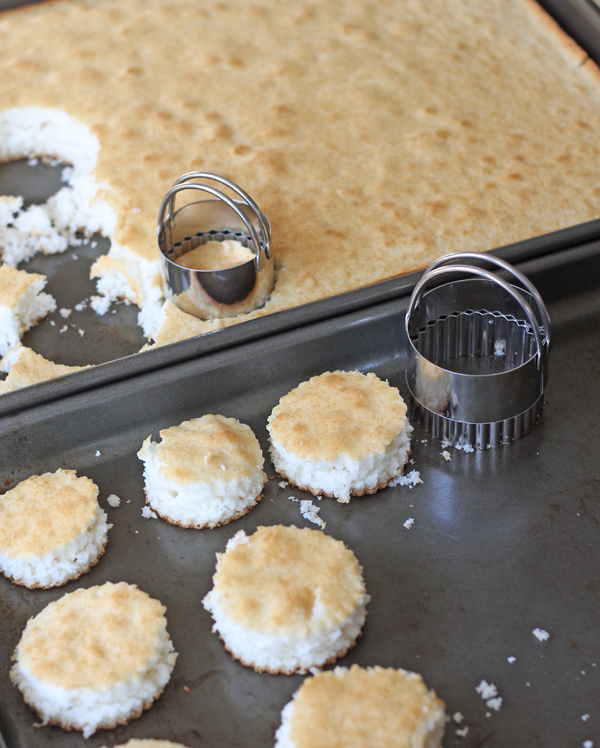 Once the cake is cooled completely, take a small round cutter and a slightly larger round cutter and cut out pieces (just check your jar to make sure the pieces will fit into it - the one on bottom will be smaller than the top piece.) You'll need two pieces per jar - so 12 large and 12 small pieces. Put on another baking sheet and put them back in the oven for 12-15 minutes until somewhat dried out, the tops will be golden brown. Remove and completely cool. We have met you at Haven. I was looking for directions online to clean out Jordan’s Keurig machine (I’m visiting her in the tundra of Syracuse for a week) and specifically wanted a blogger’s advice. I scrolled through some until I found one you ran by a contributor in April, 2014. That’s the one we are going to use just because I recognized you from Haven. We hope you are doing well. We will be back at Haven in July. Hope you will, too. Did you perhaps mean half pint jars? I made this tonight and barely got 7 jars done. Some I had to triple the cake layer so the jars didn’t look so empty when I realized I was going to run out of mascarpone filling. I’m going to top the jars off with some whipped cream and put the chocolate shavings on top of that. I used pint size jars, but it sounds like you made it work, good for you and I hope it was yummy! Thanks! I took them to Sunday dinner tonight with my parents and they were a biiiiig hit! I might still try half pint jars next time tho, for the pot luck coming up at work. 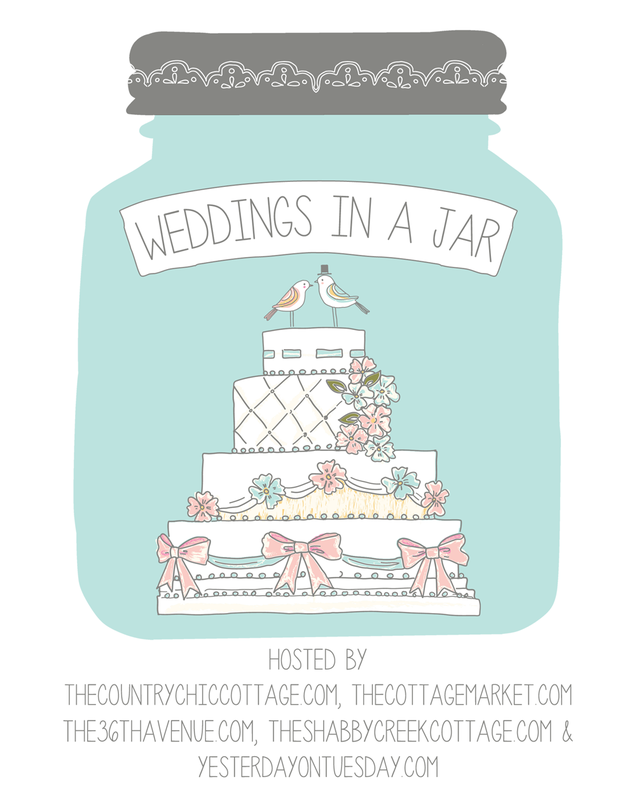 The jars pictured are 8 oz., or half pint jars.